I have just realised that most of my adult life has been a farce, in a burlesque kind of a way. A part of me simply wants to die. Now. No more. A part of me rejoices. Rather realise this now than not at all. But that means I have to rebuild a whole life. And that may just be too hard. Or it may be an enormous amount of fun!! I feel like a gargoyle. 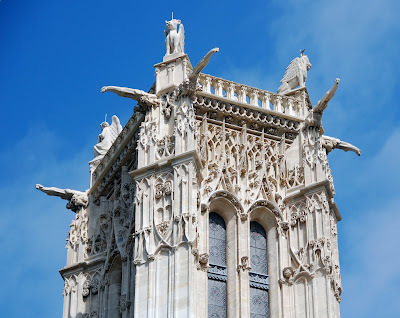 Though the primary function of gargoyles is to act as waterspouts to divert roof water away from the base of walls, they have also been thought to ward off evil. I’m more of a mythical gargoyle. I now need to find a new diversion for the water of my life and I need to scare off many beliefs held before. But like gargoyles, I do come alive at night when everyone’s asleep and I fly around, but mainly I protect the vulnerable me, the little, litlle girl.